"We would love to see your most strikingly wrapped present(s) this Christmas! 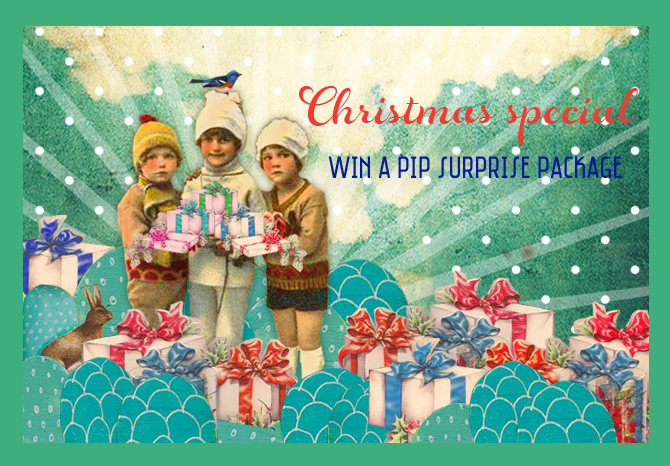 The most original entry wins a Pip surprise package! Send a picture of your nicest wrapped gift(s) to pip@pipstudio.com. Follow the campaign on our Facebook page! Please include your name, city and country. This promotional campaign is a worldwide offer and we will automatically contact the winner. You can submit your entry until 6 January 2014 (inclusive). Good luck and enjoy it!"